Comment: Need to prepare terrain (grading/level) with rock dust so planters can be installed over an approximate area of 20 x 50 ft, in backyard. Comment: I would like to get an estimate for replace and refresh an existing flower bed in home that is 10+ years old. Want the river rock temporarily moved and new weed barrier installed. Dig out 3 overgrown/unwanted shrubs and will need to plant some shrubs and perinneals. Also want border and mulch installed in tree in fron. Comment: 1. 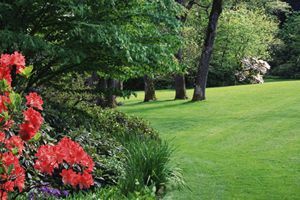 In existing planting beds, remove and replace mulch with river rock or similar. 2. Add 2 new planting beds with river rock and shrubs. 3. Extend two existing planting beds, install rock and shrubs. 4. Boarder planting beds with decorative rock. 5. Trim existing shrubbery. 6. Clean gutters, downspouts and clear drainage lines attached to downspouts. Wichita Landscaping Companies are rated 4.74 out of 5 based on 303 reviews of 19 pros. Not Looking for Landscaping Contractors in Wichita, KS?